The panel will be moderated by outdoor writer and hiking leader Danny Bernstein. Attendees will hear the stories of how each panelist succeeded at the Smokies 900-Miler Challenge, and gain insight into how people from all walks of life and all ability levels can tackle the trails of America’s most-visited national park. Proceeds from Nantahala Brewing’s Dirty Girl Blonde for the entire month of February, including the evening of the panel, will benefit Friends of the Smokies. Nantahala Brewing’s Asheville Outpost is located at 747 Haywood Road. Parking is available behind the brewery and along Haywood Road. Steve Pierce: Steve is a retired teacher from Marion, NC. He is an avid hiker and leads hikes for the Friends of the Smokies and the Carolina Mountain Club. 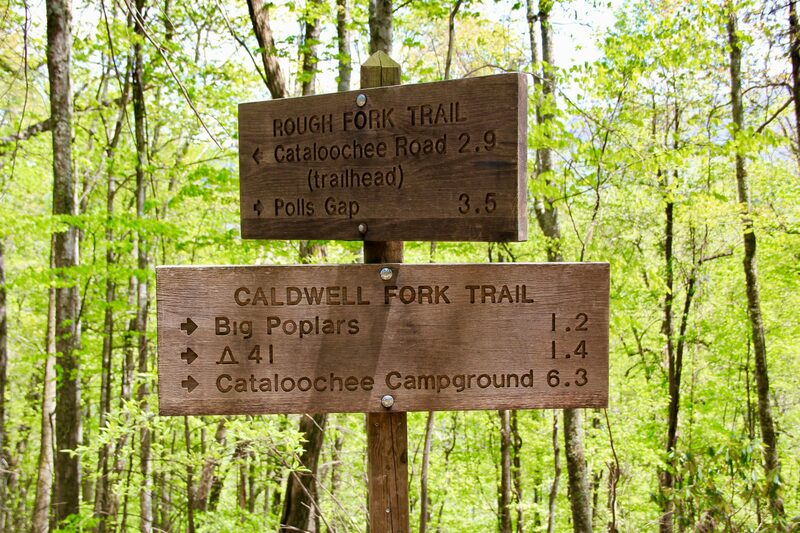 He has hiked all the trails in the Smokies once and is closing in on finishing hiking the trails for a second map. In addition to hiking in the Smokies, Steve has completed the South Beyond 6000 challenge—summiting 40 peaks of 6000 ft.—reached the summit of Mt. Kilimanjaro, hiked the Salkantay route to Machu Picchu, and walked the Camino Portuguese. JP Smith: JP is a retired law enforcement officer from Maggie Valley, NC. She holds a B.A. in Criminal Justice and M.A. in Education, and was an Army Medic for six years. Besides completing the Smokies 900, she walked the Camino de Santiago and cycled from Boone to Wilmington. Dave Worth: A former National Park Service Ranger in the Smokies, Dave completed all the trails in Great Smoky Mountains National Park in 2018. He thru hiked the A.T. in 2008, and currently holds the fastest known time for running the stretch of the A.T. passing through the Smokies, as well as the record for running all the trails leading to the summit of Mt. Le Conte. Danny Bernstein: Danny is a is a hiker, hike leader, and outdoor writer. She completed the Appalachian Trail, Smokies 900, South Beyond 6000, Mountains-to-Sea Trail, and three Caminos de Santiago. She currently leads hikes from the Carolina Mountain Club, Friends of the Smokies, and the Asheville Camino Group. She has written two hiking guides for the Southern Appalachians, a travel narrative on hiking the Mountains-to-Sea Trail and Forests, Alligators, Battlefields: My Journey through the National Parks of the South, which celebrated the 100th anniversary of the National Park Service. In her previous life, she worked in computer science. Friends of the Smokies is an official nonprofit partner of Great Smoky Mountains National Park and has raised more than $62 million to support critical park programs and maintain the Smokies as a crown jewel of the National Park Service. Find your park at FriendsOfTheSmokies.org.